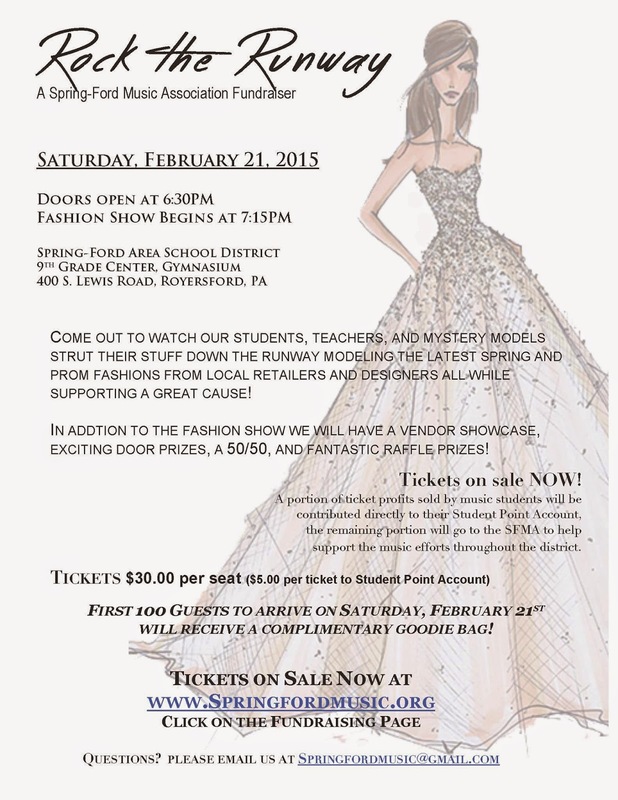 On Saturday, February 21st, the Spring-Ford Music Association is hosting a Rock the Runway Prom Preview Fashion Show. 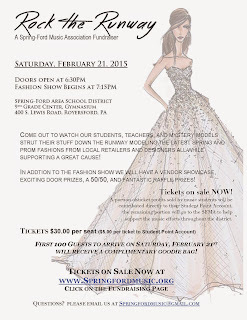 This fundraiser will feature 'students, teachers and mystery models ... modeling the latest Spring and prom fashions from local retailers and designers'. In addition to the fashion show, they will have a vendor showcase, door prizes, a 50/50 and raffle prizes. A portion of ticket profits sold by music students will be contributed directly to their Student Point Account, the remaining portion will go to the SFMA to help support the music efforts throughout the district. For more information and to order tickets, visit the SFMA at springfordmusic.org.